Then two days later it’s Pecha Kucha Night at the Lighthouse in Brighton, and I’m planning to present a kind of poetic ‘happening’. PK is all about showing 20 slides, each for 20 seconds, and providing some commetary to go with them. I’m doing something very similar to the last time I took part which was a couple of years ago now, when I showed photos by my talented friend Simon Dale, acccompanied by some poetry they inspired. 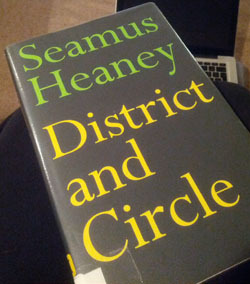 No ditties of publishing quality but it was certainly different, and even if you don’t care for the poetry you can enjoy the photos! There is always a fantastic range of subjects at a PK night so worth coming along to. And then on October 4th it’s National Poetry Day and the launch of Poems from the Old Hill at the Needlemakers in Lewes, which will mean reading in front of quite a few REAL poets – ooo-er! Thanks very much for the mention, Robin. 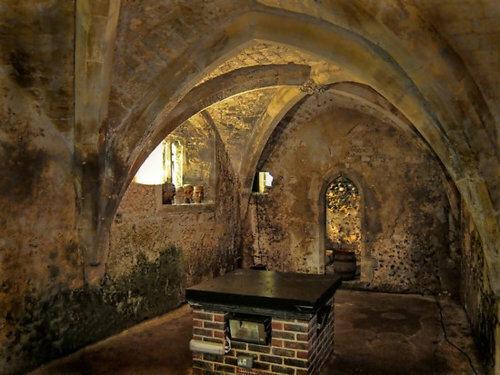 A very atmospheric picture of the Crypt too. Looking forward to something creepy. I wanted to call the event Tales from the Crypt, a homage to the 70s horror film in which Ralph Richardson played an evil cryptkeeper, but I thought we ought to have poetry somewhere in the title.